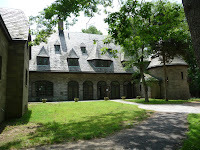 Seatow International Headquarters, Southold, NY. Role: Documented LEED Construction Credits for four of the five prime contractors on the job. Role: Reviewed all LEED submittals and observed construction activities for LEED compliance for Prime Contractor. Role: LEED Design and Construction documentation.